James Glickenhaus is fun because instead of just collecting cool old road-legal race cars, he decided to start making some of his own. 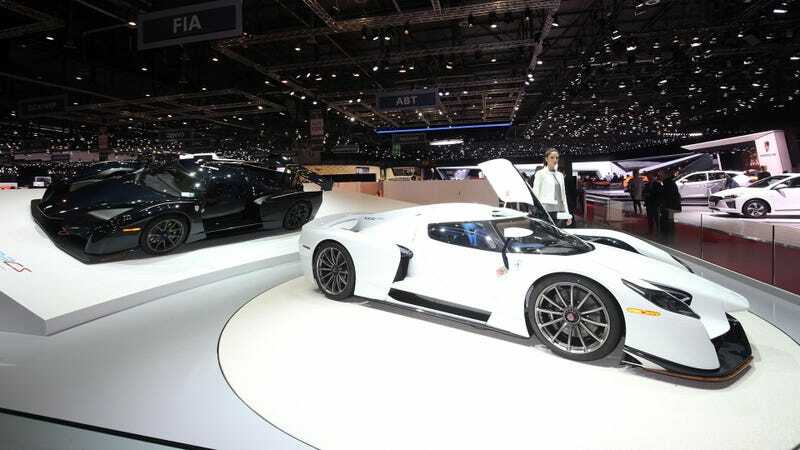 Now he’s gone from a Miles Davis-rescuing movie producer to an official government-approved manufacturer, and he just priced his Nordschleife-conquering SCG003 at a cool $2 million. I would begin to put down a few thoughts as to how this all-carbon prototype compares to more humdrum cars like the LaFerrari, Bugatti Chiron or McLaren P1 also in that general price range, but there’s really no point. Nobody stretches to buy a $2 million car. Either you have a garage full of these cars or you don’t have one at all. SCG says it will make its first four to six customer cars in 2018, then another eight to 10 in 2019, though it hasn’t sold out yet. Glickenhaus also says there’s a SCG003CS ‘Competizione Stradale’ on its way, to be debuted at the Quail, a Motorsports Gathering. Catch it at Pebble Beach.